Welcome to Living By Disney! If you’re new around here, I’m an Orlando local and Disney blogger, and I make it my goal to tell you everything you need to know to have your best Disney World vacation ever. This is the first in a series of articles that will help you get started on your vacation planning. First off, don’t feel overwhelmed! Many people like to make visiting Disney World seem super complicated. And while it is true that you need to plan in advance, it doesn’t have to be difficult. Let’s break things down into simple steps to help you get started. In this article we will cover step one- deciding when you want to go. 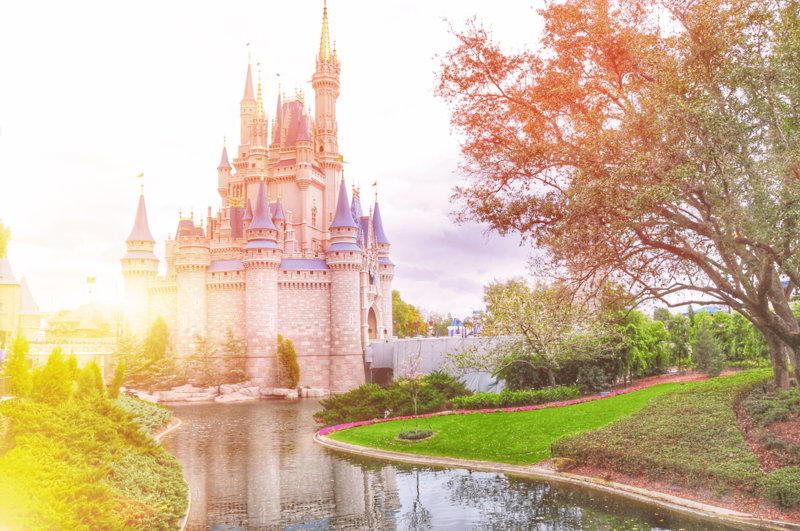 The biggest outside factors to consider in deciding when to visit Disney World are crowds, weather, events, and price. Crowds change your trip drastically, and have the most impact in the overall satisfaction with your trip. High crowds equal high frustration. They also mean that it takes much longer to do things, meaning you will see and do less. I understand that sometimes there may be no other time you’re available to visit other than high crowd times. I get it. But my biggest caution is this: if this will be your very first trip to Disney (or first trip in more than 10 years) and you don’t anticipate being back anytime soon, then try if at all possible to come during a lower crowd time. You really will have an overall better vacation experience. To make this process even easier I’ve got a free planning chart you guys! I’ve packaged it in a little downloadable eBook that includes a chart of every week of 2018. It’s color coded so you can see which weeks are best for crowds. Note: I will be updating this will the weeks for 2019 soon, but you will see that the weeks tend to be similar in crowd levels year-to-year. If you must come during one of the busiest weeks, try hard to choose one when the weather isn’t hot. Please take it from someone who knows- you can handle crowds, and you can handle heat. But both together are a recipe for disaster. I’d rather you come Christmas week when the crowds are super high but the parks are festive and beautiful and the weather is gorgeous. Those things will help to compensate for the extra waits. The last half of January and the first part of February is true “slow season”. You’ll find low crowds, great weather, and cheaper rates. You’ll also get to see the parks in classic Disney style with no holiday decor which some people prefer. February is also the start of Spring here in Orlando, so you’ll see the trees and flowers begin to bloom. It makes a great escape for those from the north who want to get away from Winter for a while. You get lovely Spring weather (all though for you Northerners it’ll feel more like Summer to you). It’s warm enough to really enjoy the pools and water parks without the full heat of summer. And one of the biggest highlights for April is the Flower and Garden Festival that’s happening at Epcot. If you’re a gardener you’ll especially love this Festival, and Epcot is at its most gorgeous. The topiaries are throughout the parks as well as many food and beverage booths. This festival is only slightly smaller than the Fall Food and Wine one, so if you prefer Spring it’s a great option. First, subscribe to my newsletter. It’s free, and I will send you all the latest Disney World news once a week, right in your inbox. It’s absolutely invaluable in your planning. And if you haven’t yet, definitely follow me on Instagram as I post tons of live updates from the parks. It will make the months leading up to your trip much easier as you’ll pick up tons of little tips and tricks. This is the first article in this series, stay tuned for Step Two!